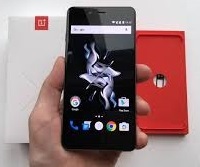 One Plus X smartphone owners are experiencing error “Google services stopped working.’ This can happen if you have carried System Update on you mobile. Google Store stooped working on my Android Mobile, no Apps were getting updated. In fact all Google Apps like Gmail, Google Play Movies, Google+ and Google Play Music etc stopped working. After coming from office I spent many evenings researching various Android Forum & Google Play Help and trying out various solutions for the error “unfortunately Google Services Stopped Working”. I also tried 7 solution provided at Google Play Help for “Store won’t load or download apps.” Everyone seems to be giving solutions which were based on trial and error with no clue to exact problem. Disable the Google+ App. It might give you error “Unable to uninstall the Google+” but that’s fine, you wont see the Google+ App in Apps or Apps Manager. Open the any Google Service or Play Store, you will find its working fine now.